We’ve gathered a team of experienced and innovative consultants who also are experts of their fields. With their help, we strive to achieve the best results for our clients. We are honest, open and fair. We’re passionate about our work and use our empathy to understand not only our clients, but above all, their clients and their goals. We think outside of the box, imagine what the future could hold for our clients and help them positioning their business to prompt new & unexpected results. Alexis is a strategist, visionary leader and international business developer, who enjoys directing all aspects of fast growing businesses with an entrepreneurial and collaborative culture. He took advantage of his Franco-American roots and graduated with an MsC from Grenoble School of Management, an MBA from HEC Paris and a Mid-Career MA from the Fletcher School of Law and Diplomacy in Boston along with cross-registration classes at Harvard Business School and MIT. With this background in Business, Finance, Management, Law and Diplomacy, Alexis began his career in the European Aerospace & Defense industry in 1992, joining Eurocopter and going on to become Head of their Moscow Office from 1993 to 1995 and their head of Strategic Development in 1996. In 1997 he joined Airbus Industrie and became their youngest ever regional sales director, in charge of the development of the North African and Eastern European markets, including Russia & CIS. In 2002 he moved to the private aviation industry, assuming the position of Vice President of Sales and Business Development for Marquis Jet / Netjets in London. He then focused on Entrepreneurship, Digital Transformation and International Development of fast growing SMEs. To work on developing international strategies with a special focus on UK/US, France, Eastern Europe, Russia and CIS countries, he founded AviaMediaTech Ltd, a consulting and capital services company. Since then, Alexis has worked with many international organizations, including Airbus, Safran, Fly Victor part of Alysson Group, Barony Universal Products part of Arnest Group and Academie du Service. 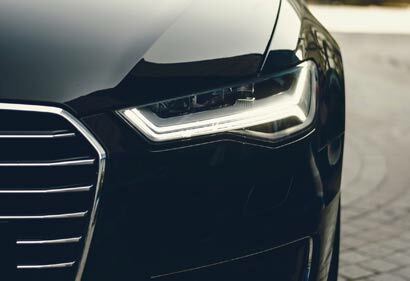 In 2007 he co-founded Avolus, a one stop luxury transport company. As CEO of Avolus group (20 employees in London, Moscow, Monaco) & General Manager of private jet operator Eurojet (30 employees in Bucharest) he set Avolus’s strategic vision and commercial direction reporting to the Board. In 2013-2015, he became for 2 years Board Member and interim Chief Commercial Officer of Arnest International the first Russian Cosmetics group. In 2016, he co-founded Academie du Service UK with Claire Bonniol and they worked together for 2 years. In 2017, they cofounded CXB HUB, a customer services consulting company with plug-and-play solutions supported by a hive of strategic partners. Today, he is on the Board of Hiveworks (ex Orange Digital in London/Paris) and Advisor of the CEO of TRAXENS SA in Marseille. Alexis speaks French, English and Russian fluently. He is a member of the Automobile Club de France in Paris and Fellow Member of the Royal Aeronautical Society in London. Maria is a finance and accounting specialist with over 14 years’ experience of financial operations in companies ranging from blue chips to start-ups. Maria studied Accountancy and Financial Management and holds a BA in Economic and Financial Accounting from Babes Boloy University in Romania. She has been registered with the Association of Chartered Certified Accountants (ACCA) since 2006. Throughout her studies, she built her expertise on UK & Romanian legislations. She also developped in the course of her work experience an expertise in the private aviation, consumer goods, construction and cosmetic sectors. 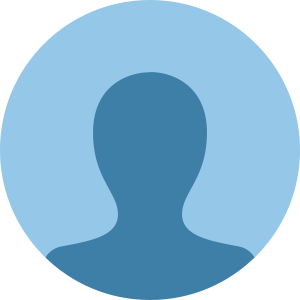 From 2004, Maria worked in various companies, including Oyster Partners LTD (Advertising), London Waste UK (Recycling), Triyoga UK (Health and Fitness) and A-Team Cleaning (construction). In 2005 Maria set up her own accountancy and bookkeeping practice, Johnson EM Ltd, developping new businesses. She joined the AviaMediaTech’s team in 2009, when she started working for Avolus, where she spent several years as Finance Manager. 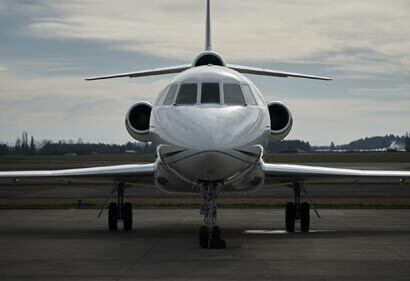 This private-jet charter broker company was incubated by AviaMediaTech. She improved and implemented financial controls and processes (particularly with regard to implementation of a new software package), established and maintained an effective system for analyzing and reporting costs and supported the business in all areas. Maria has excellent transferable skills in identifying key business opportunities, increasing sales, installing advanced IT systems, making major improvements to management financial controls and business resource management. She’s an expert in financial modelling, analysis and reporting, as well as Statutory Accounts financial planning and budgeting for all functions/processes required to create annual top-down budget models. Maria has also experience in human resource management including training, development, motivation and retention of multinational staff. A pillar of AviaMediaTech, Maria is involved in all new projects to provide a financial management perspective. 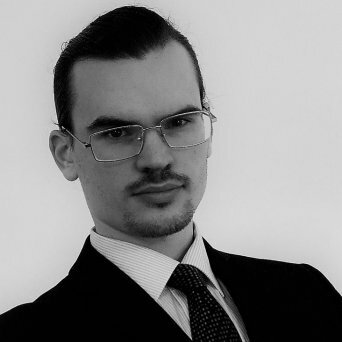 Michel graduated from the Ecole Normale Supérieure (ENS) in France, has got a PhD in History, holds an agregation in Russian and a Master in Management from ESCP-Europe. He started his career at Canal + in 1989, as an adviser to the CEO and to the VP in charge of international Development. He moved on to cultural attaché at the French Embassy in Prague. He then worked at the National Institute of languages and oriental civilisations in Paris for 4 years, where he taught Russian History while writing his thesis on the resurgence of religious philosophy in Russia. Since 1997, he teaches at the Rennes University in Russian studies, soviet & post-soviet. His past roles have included geopolitical and economic expertise on Eastern Europe and the enlargement of the European Union for the Minister of Foreign Affairs (2004-2005) and the Minister of European Affairs (1995-1997). In 2007, he co-founded AviaMediaTech Ltd. 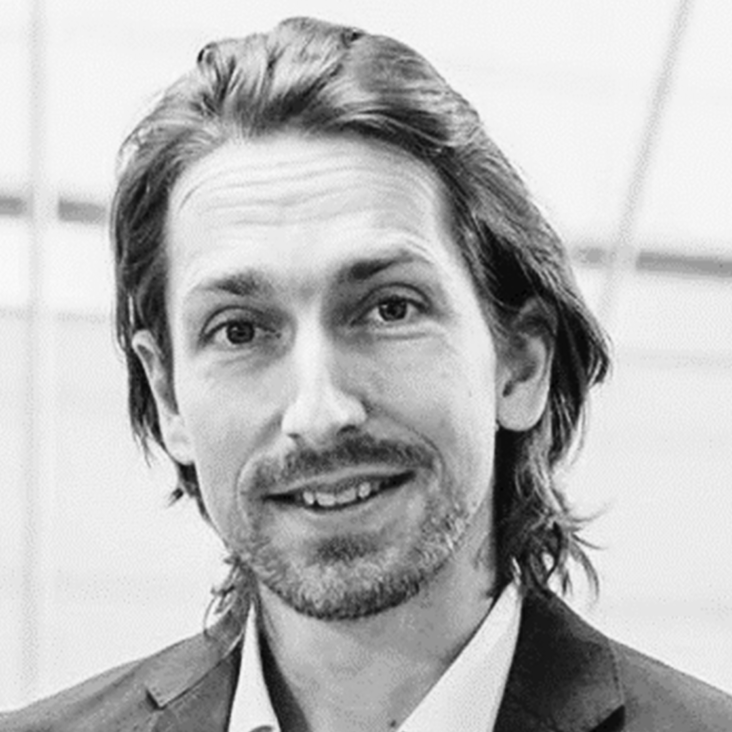 Experienced in political and economic analysis of Eastern Europe and Russian-speaking countries, Michel works as a project leader for Eastern Europe and CIS in the media & energy industries. He also contributes as senior consultant on other issues (M&A, Aviation, Fund raising, Venture capital…). In 2009, Michel founded MG Conseil, a Consulting and Capital Services Company based in Paris. In 2015, he started as a VP Representative for France at the World Coordination Council of Russian Compatriots. This forum gathers every year in Paris 350 members of organizations concerned by Russia’s past, present and future. Since 2016, Michel is a representative in France of Schneider Group. He puts together global events and invites French companies to use the large range of services that Schneider Group offers in Germany, Poland, Russia, Ukraine, Kazakhstan and Belarus. Born in Russia, raised in Paris, having travelled the world and lived in Germany and Israël, Alexander has now settled in Scotland. He graduated from a Russian school, a French college, and an American university. His diplomas from Harvard and the MIT are some of his most prized achievements. He started his first real estate company in Paris aged 21, which increased its capital by 700% within its first 6 years thanks to successful management. Three years later, he went on to become the CEO of Vesta Universal Holding, based on the Champs Elysées. There, he exceeded all targets set by the board while decreasing the running costs by 97.5% in less than three years. In 2017, he started working with AviaMediaTech on developing new projects. One of his favourites was working with Auchan Retail Russia on their Customer Service Excellence Program. In 2018, he’s also working on the launch of his latest venture, The Dashpage, a new type of social media platform aiming to simplify our online lives. Fluently speaking Russian, French & English, Alexander loves problem-solving: improving the efficiency of internal procedures, finding ways to streamline them and consistently striving to boost the productivity of everything and everyone around him while always staying within budget and meeting the most challenging deadlines. An NYU, Harvard & LSE alumnus, Andrew holds a master of Science in Development Economics & International Development. Prior to his master’s studies, he helped large companies like AT&T and Walmart improve their customer experience with Simply Interactive in Boston, and led sales in Latin America for Pagevamp, a small-business solutions company in New York City. He has an abiding interest in emerging technologies and their implications for global business. Andrew joined the AviaMediaTech’s team in 2016 on the Académie du Service’s incubation project. He has since then worked on various projects development for the company. Born in the USA, Andrew also speaks Spanish & French. Born & raised in France, Thomas graduated in Finance from the University Paris-Dauphine and HEC Executive Development Program and also auditor of the Multi-Media Institute. He then went on to acquire a successful track record in the world of Mergers and Acquisitions advisory, investment and entrepreneurship. After a first experience at Paribas in Project Finance, he spent five years in Mergers & Acquisitions at ARJIL & Associés. 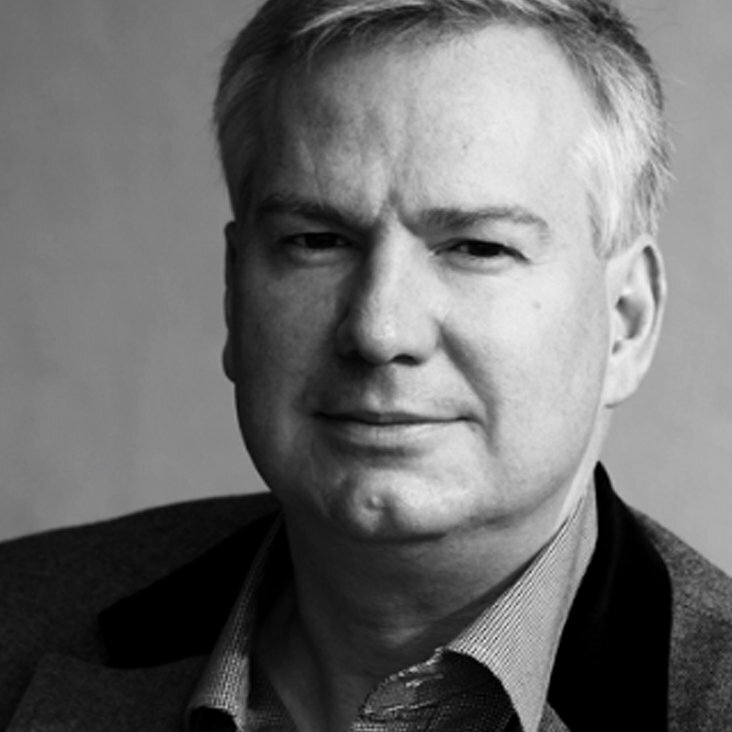 In early 2005 he helped develop a French M&A boutique, Athema. In 2007, he co-founded Quadriplay, an investment firm which focuses exclusively on investments in the fast-growing media, entertainment and communications industries. In 2010, he co-founded and became managing partner of Vocatio & Co, a company dedicated to strategy, M &A and fundraising. Thomas loves tackling on new challenges, always striving to create financial and human value based on curiosity, creativity, common good and ethics. THINK, CREATE and SHARE are the key-words he lives by. He helped developing the Zermat Summit, a uniquely designed program focused on tech ethics, and co-founded and presides over BOUSSOLE, an e-magazine studying contemporaneous issues: society, economics, technology, environment, culture. 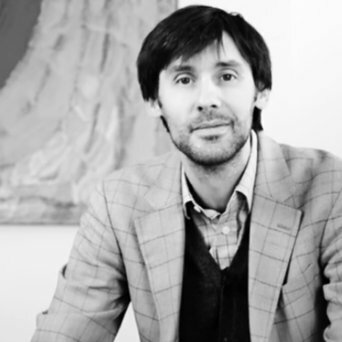 Antoine graduated from ESSEC Graduate School of Management in France and holds an MBA from Harvard Business School. He started his career in 1988 as a business and financial analyst with Banque Indosuez in Seoul, South Korea. He then worked successively for two of the leading European Aerospace & Defense (A&D) companies (Matra Défense and Aérospatiale, now both part of EADS) in commercial management and business development roles, more specifically in the Asia-Pacific region. He then worked from 1997 to 2002 for the international management consulting firm Booz Allen & Hamilton where he led the A&D team and advised international companies and governments on strategic and business issues. He has been running his own consulting business – Paragon European Partners (formerly Octagon Partners) for the past 16 years, offering strategic and transaction advisory services to corporate clients and private equity investors active in the aerospace, defence and related industries, including deal engineering, assistance to business development and corporate venturing projects. Antoine also acts as A&D Practice Leader for Candesic Ltd, a consulting firm specialized in commercial and strategic due diligence work for private equity funds. He founded Culture at Work Ltd in 2014, a new breed of consulting and coaching business covering all critical areas of organizational and individual performance with a particular focus on optimizing human potential at work. He’s also been a member of the Board of Orolia Group, a Franco-American A&D technology company, since 2016. He is a contributing columnist for Aviation Week & Space Technology. 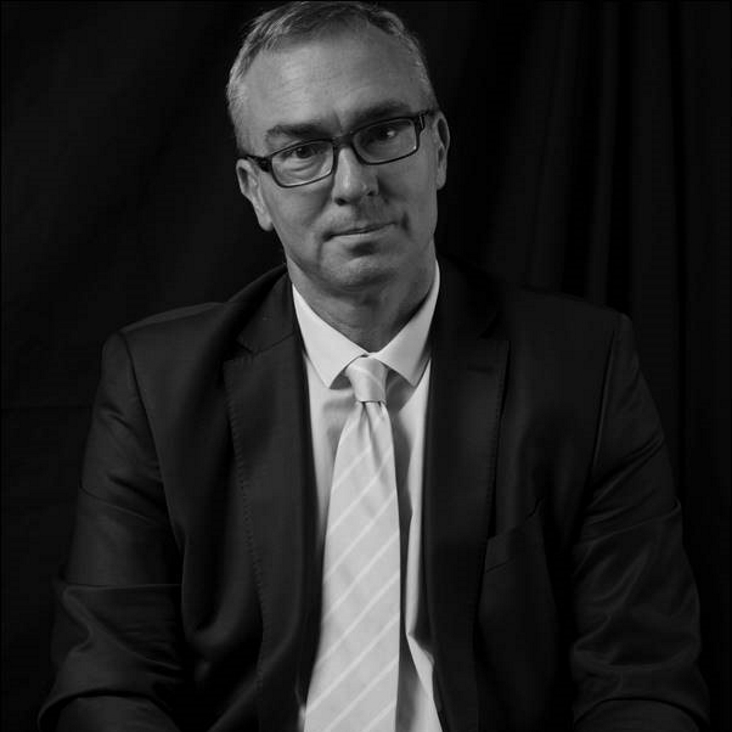 With an MBA background in Business, Sales and Marketing from EM Strasbourg Business School, André started his career in 1989 with EUROCOPTER / AIRBUS Helicopters (American Eurocopter, Texas), where he headed the North America Sales Promotion & Marketing department for 5 years. He then joined AIRBUS Helicopters Headquarters in Paris from 1994 to 1997 in order to become Sales Director for South-East Asia / Australia, and successfully became the Vice-President Commercial for AIRBUS Helicopters South-East Asia based in Singapore for 4 years. At the same time, André was appointed to the Board of Directors of both Composite Technology International (C.T.I.) in Singapore (1998-2000) and Euroaircraft Services SDN BHD in Kuala Lumpur (1994-1998). After 12 years working for the #1 firm in helicopter manufacturing, he moved on to another leader of the industry: BOMBARDIER Aerospace Business Aircraft. 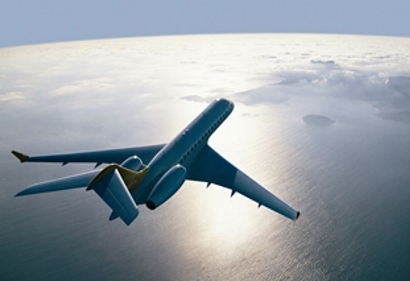 He faced a new challenge: launching and developing the Flexjet fractional program in Europe for 3 years (2001-2003). In 2003, he became Sales Director (Western Europe / Southern Europe) for BOMBARDIER Business Aircraft, selling all Learjet, Challenger and Global aircraft ranges with major sales results achieved. 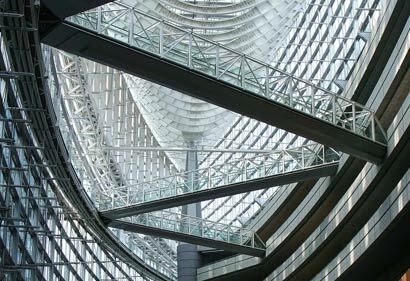 In 2013, he joined as Co-Owner M&R associates design in Geneva to offer aerospace interior/exterior design services. The company is officially referenced by Airbus and Boeing and has now completed projects for all major types of Business Aircraft (New or refurbished). Today, André continues selling business aircraft worldwide, being on the Board of JETCRAFT Corporation, the world leader in aircraft sales and acquisitions, and on the Board of FK Group, BOMBARDIER representative for South-East Asia. George studied rocket science and economics at the Massachusetts Institute of Technology, and business at the École Supérieure de Commerce de Paris. After working in business development & techs for three different companies (Trilogy, MirCorp & BT Retail), he co-founded WooMe.com, one of the most innovative social dating and video chat sites on the web, in 2007. The site grew to over 10 million users, with offices in Los Angeles and London and substantial revenues. In 2011 it was acquired by Zoosk.com (the world’s largest dating site with over 100 million members). He is one of the minds behind the internationally successful taxi-hailing app Hailo where he led the product team until 2013. He overviewed the launch in 13 cities and helped drive the first $150 million in revenue. Hailo was then acquired by Daimler in mid-2016. In 2014, George published ‘’How to Build a Billion Dollar App: Discover the secrets of the most successful entrepreneurs of our time’’. The book is enhanced by a website, where you can find more information about George, the book and breaking industry news. His latest venture is DeepAR.ai, a deep learning AI startup that provides a powerful SDK that allows any app or website to incorporate Snapchat-like masks, lenses, filters and special effects in a matter of minutes. The MRRMRR app, built on DeepAR.ai technology, has been featured over 120 times in over 50 countries by the Apple Store. In 2017, he joined the website GoCompare.com as chief product officer, working in London and Newport. George now divides his time between London and the Silicon Valley, being heavily involved in the UK and US startups scenes. He was chairman of MIT’s Enterprise Forum in the UK for 5 years and judge and advisor to the Next Big App in 2014, a pan-European competition organized by Facebook to uncover great apps ideas to develop in the near future. Francois is an ex Mobile Telecom executive turned entrepreneur, focusing on large business and consumer-facing opportunities enabled by digital transformations. He gained experience working in small software companies, a managing consulting firm, and in large international groups like Orange, or Santander, where he currently works for the Chief Customer and Innovation Officer, helping the Bank make the most of the Fintechs opportunities. He runs as well www.foundersbasecamp.vc, a community of student entrepreneurs investigating new business ideas, and advises a handful of exciting early stage tech startups. Francois holds a M.S. in telecommunication from “Ecole des Mines d’Ales & ENST”. 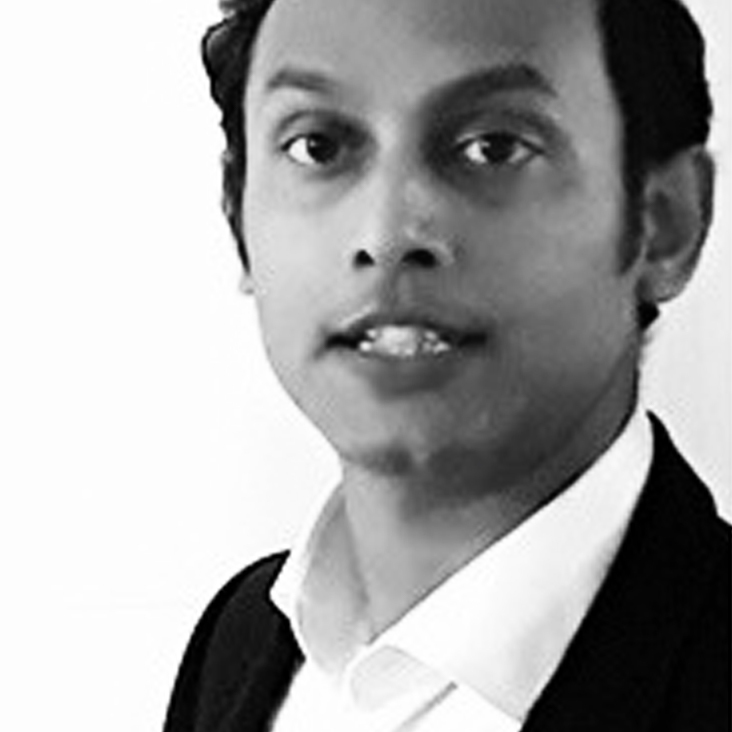 Jeev is a market-facing MBA who leads strategic, commercial and technology innovation programmes for global corporates in automotive, car-rental rail, urban-mobility and related industries such as energy, travel and low-emission transport. He also works with funded start-up organizations. He co-founded HeadStart.in which organizes start-up pitching events in 23 cities each month. To your team, Jeev brings a combination of award-winning strategy formulation and implementation abilities, quantitative modeling and data visualization experience, with recognized people-management soft skills that he has proven at Fortune 500 companies as well as Series A start-ups. With 14 years of work experiences spanning across Europe and Asia, in General Electric (Emission Reduction), Mercedes-Benz (Hybrid Electric Cars), Mitsubishi (Hybrid Trucks), TVS-Suzuki (New Product Development), Toyota Tsusho Holding (Intelligent Mobility & Electric Cars New Market Development) and Hertz (Portfolio Management for Europe C-level), he specializes in strategy consulting, new business development, business transformation, project management and executive coaching. He appeared on television on the National Geographic Channel in 2011 for winning the European NRG Battle while resolving environmental issues in biogas plants in the Netherlands. Previously he bagged the Indian Young Scientist Award in 2004 for innovation in cleaner automotive emissions in developing economies (only 4 were awarded from around 20,000 applicants in the whole country). His motto is: ‘If you do something, do it world-class’. He is a regular Toast Masters speaker, industry commentator and is an electric vehicle subject matter expert. He is a board member with the London-based mental health charity, ThreeCs. He is a micro-investor in a few UK-based start-ups and a Business Mentor with Mass Challenge providing advice to SMEs and start-ups / scale-ups on market-entry, business strategy, investor pitching & fund-raising. Jeev has a BTech in Mechanical Engineering and an MBA in Strategy and Finance. He is a member of the Institute of Directors MIOD, and a Board Member of the London-based mental health charity, ThreeCs (Choice & Control in Community for adults with mental health challenges and learning disabilities). He considers long-distance / marathon running as a ‘leadership’ hobby and reads extensively on management topics, while being a dedicated dad and husband – if you ask him, he quotes “we borrow the future from our children”. You can reach him at jeev@jeev.in, jeev.sahoo@step8up.co.uk, and www.jeev.in. 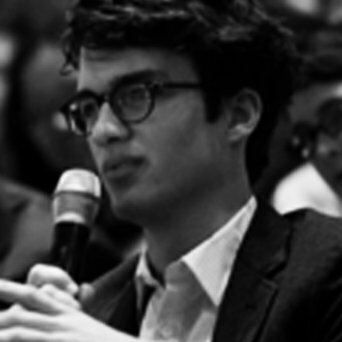 Laurence has a degree in Finance from Sup de Co Rouen, France and an MBA from the University of Chicago (Booth), USA. After an experience in banking (BNP Paribas) and industry (M&M Mars), Laurence spent 16 years at BP in Chemicals, but also Gas and Power, Renewables and Lubricants. She was Head of Strategy and Planning for BP’s Gas, Power and Renewables Businesses and also held large operational and managing director roles, with her last role as CEO of Castrol Industrial Lubricants and Services worldwide (a $1.5 billion revenues business with 9 plants and 2,000 employees across 37 countries), from 2007 to 2010. From 2010 to 2013, Laurence has been the CEO of Eoxis, a start-up producing power from wind parks and solar farms, backed by a private equity firm. Eoxis has developed, built, operated and financed a total of 65 MW in Spain, Italy and India. 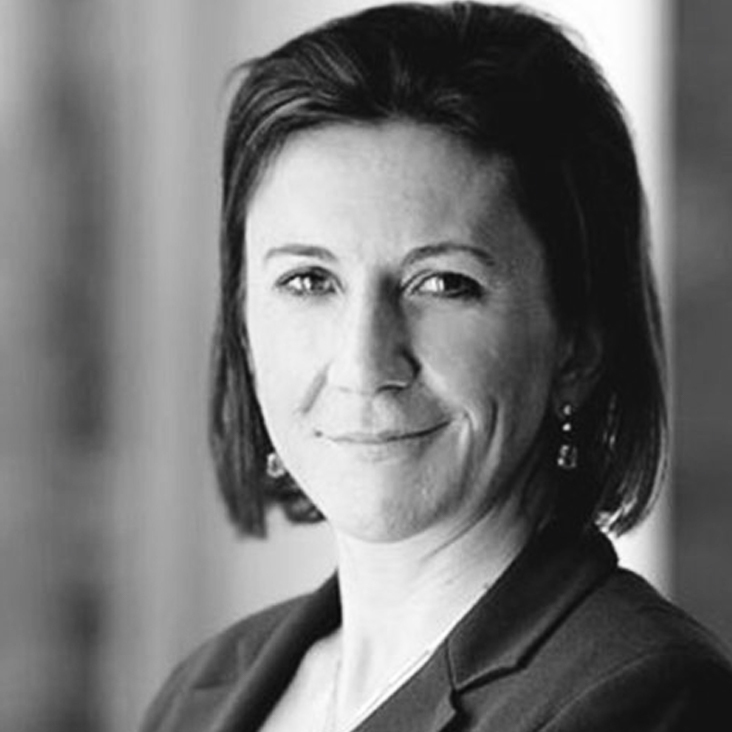 During her executive career, Laurence was also a non-executive director of Leroy Merlin, a DIY retailer from 1999 to 2009. Currently, Laurence is a Non-Executive Director and also Chair of the Audit committee at Aperam stainless steel (a $5 billion revenue spin-off from Arcelor Mittal, quoted in Luxembourg, Paris and Amsterdam) and Chairman of Voltalia Renewables, a €200m market capitalisation producer of renewable-based power quoted on the main market in Paris. She is also a Non-Executive Director at the Green Investment Bank, a PLC funded by the UK Government at 3.8 billion £ to invest in UK renewable infrastructure on commercial terms and a Non-Executive Director at SBM offshore a world leader in floating production and mooring systems for the oil and gas industry with about 3.5 billion euros in sales. She has also been a Non-Executive Director of Morgan Advanced Materials plc since May 2016. 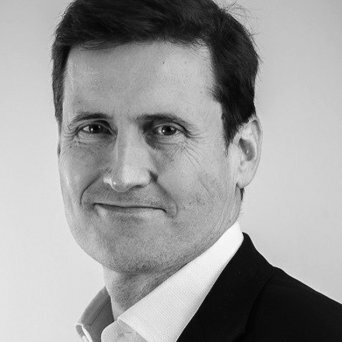 With over twenty years of operational and leadership roles, Laurence has experienced a wide range of different business sectors from banking to consumer products to energy, chemicals and industrials, living in four different countries and leading businesses in over 30 countries. Bryan has an MBA in Finance and Marketing from Columbia University and a BA in English Literature from the University of Virginia. Serial entrepreneur in the telecommunications industry for 30 years, Bryan is the president of Memphis Ventures consulting, a strategic and business development consulting company providing services to a variety of telecommunications–focused companies from start-ups to publicly-traded companies. 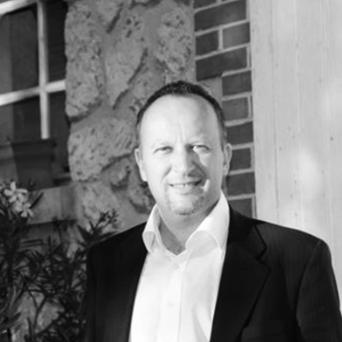 Bryan has led successful companies in their marketing, strategic planning, and business development efforts. His skills include brand development (MCI, Discovery Channel, Skywire, MultiTech, Link Labs, Astrocast), strategic planning (MultiTech, Digi, Astrocast), business plan creation, new business unit creation, traditional marketing and business development as well as digital marketing. He also has experience in raising venture money and positioning companies for sale. Bryan began his career as an advertising executive in New York then worked with several emerging communications companies including as a founding team member of The Discovery Channel. In 1987, Bryan joined Cylix Communications Corporation as a member of the executive management team. The company was a specialized provider of managed data networks, which was purchased from General Electric. After a successful turnaround, Cylix was sold to France Telecom in 1993. In 1993, Bryan became the founder & CEO of Skywire Corporation, a leading provider of wireless remote monitoring products and software. Skywire’s flagship product, VendView was developed with the Coca-Cola Company to monitor vending machines worldwide. Skywire was sold to Marconi in 1998. 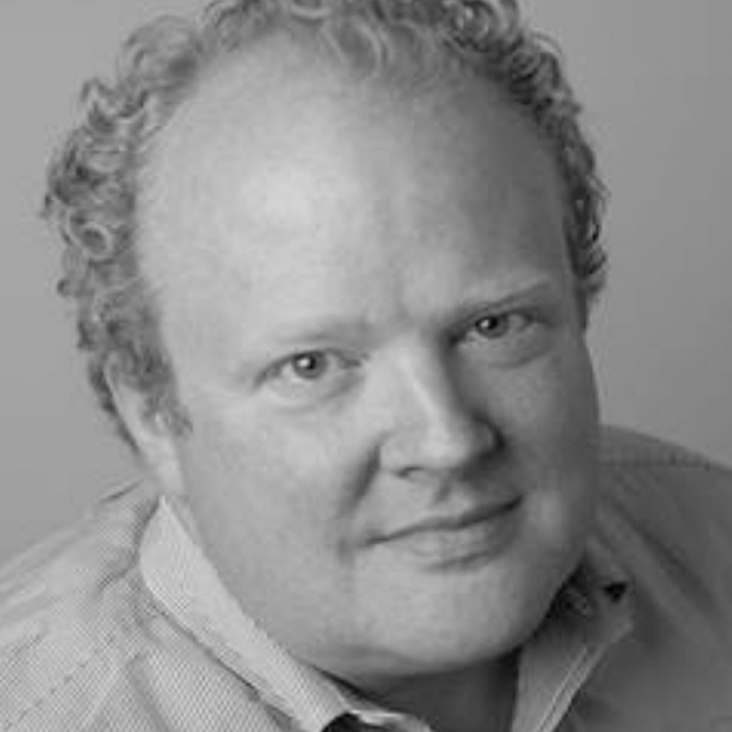 Before founding Memphis Ventures, Bryan became Vice President of Business Development at Media4 in 1998, a pioneer in delivering Internet content over direct broadcast satellite networks. EchoStar acquired Media4 in 1999 as the basis for their Business Television platform. Mr. Eagle is active locally in the Washington, D.C., Atlanta and Memphis business communities. He is the founder and past Chairman of Emerge Memphis, an incubator for technology-based companies, and has been a member of several not-for-profit boards over the years: The Smithsonian Rock and Soul Museum (2012-2015), The Memphis College of Art (2005-2010), and today he is also working with Resilience Education (empowerment through high-quality education for incarcerated people). Jean-Thierry has a 28 years long career, and has spent the first 9 years in the Aerospace Industry, working for Thomson-CSF Airsys (now THALES). He started his career as sales manager for the TAAATS project (signed 1994) and conceived in particular the Australian Industry Plan, a major key success factor in the award of the project to the then Thomson-CSF. He then covered Asia and Pacific, contributing to an Indian MOD contract including radar technology transfer (1998), and had been leading a major ATM equipment sale for Iran as deputy sales director for APAC. Becoming Sales director for Asia at the time of the acquisition of Siemens ATM, he finalized amongst others the negotiation for Chengdu Airport in China in 1999. He also participated in working groups linked to Thales interest in NATS PPP in the UK. In 2000, Jean-Thierry joined Pan European sports broadcaster Eurosport in 2001. He has worked in numerous roles at Eurosport where he developed at high pace global distribution revenue (80% of Group revenues) on double digit figures ten years in a row. Jean-Thierry accelerated Eurosport.com from 2003, launching in Northern & Eastern Europe, and launched in 2009 Eurosport Player, the first ever launched sports channels streaming service direct to consumers, a disrupting innovation in pay TV. He became Chief Executive Officer of Eurosport Group at the beginning of 2013. 2013 and 2014 were record years in revenues and profitability. Jean-Thierry took the lead role in managing a smooth transition from incumbent majority shareholders TF1 to Discovery Communications, who became Eurosport majority shareholder in May 2014. 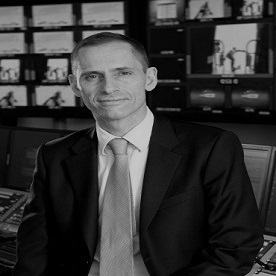 During his remit as CEO, He played a key role in the successful acquisition and integration of Eurosport by Discovery. 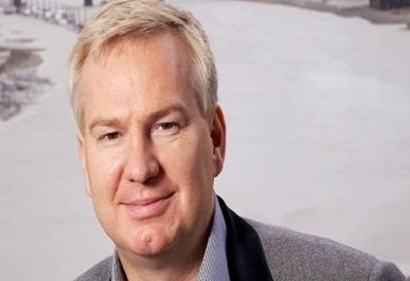 He was then President, Sports & Olympics for Discovery Networks International, a role created in 2015 in order to build Discovery’s global sports strategy and expertise, following Eurosport acquisition. Amongst other projects including major Football rights acquisition and broadcast to strengthen Discovery combined channels portfolio, he made the 1.5 BN USD game-changing deal with the International Olympic Committee for Discovery and Eurosport to become the exclusive multimedia rights holder for 50 countries and territories in Europe for the 2018 through the 2024 Olympic Games. He then led the commercialization drive, returning a strong profit within 18 months. 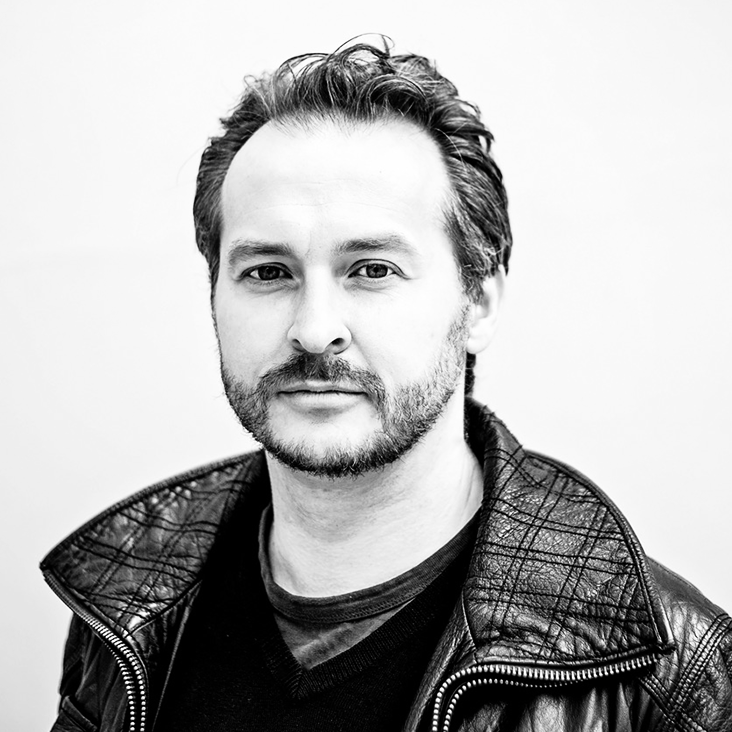 Jean-Thierry Augustin is now Managing Director of ENOG Advisors, a consultancy in global media & sports, E-sport & VR. He is mostly involved with investments funds as an advisor on Sports & Media related investments, as well as assisting start-ups in the E-sports, VR in strategy & financing, leveraging his management, commercial, strategic thinking, negotiation expertise and his international network. 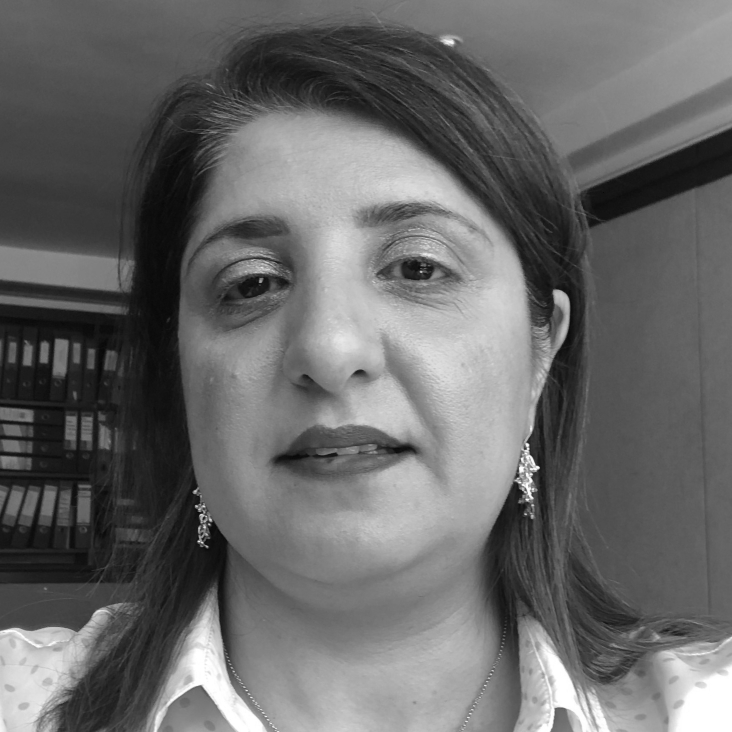 Maria is an experienced financial services professional with more than 17 years of experience in corporate and investment banking including relationship management, corporate banking, secured funding, structured finance, origination and sales. She has worked in London and Moscow in international financial institutions. Throughout her career she has focused on debt financing and capital markets raising funding for consumer goods companies, multinational corporations, banks and governments through different products (corporate lending, syndicated loans, debt capital markets and asset-backed funding). 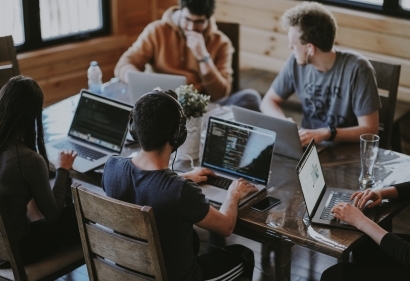 While working in London at BNP Paribas and ABN AMRO, Maria has established funding programmes for banks for large amounts ranging from EUR300m to EUR 6bn. She was responsible for origination and deals execution in Europe covering clients in UK, Greece, Cyprus and CEE as well as Emerging markets (Russia and CIS). She graduated from the Finance Academy, Moscow and HEC, Paris MBA in 2004. Fluent in English, French and Russian. Maria is an active member of the HEC Alumni in London and was involved in start-up coaching on a number of occasions. She currently runs a consulting and advisory business and has a particular interest in a growing area of cooperation between banks and fintech companies. AviaMediaTech Ltd’s management team is focused on solving clients’ strategic and capital issues with the help of a strong network of professionals represented in our Advisory and Supervisory Board.